During the opening portions of NOTA, it seems like director Anand Shankar is genuinely on to something exciting. 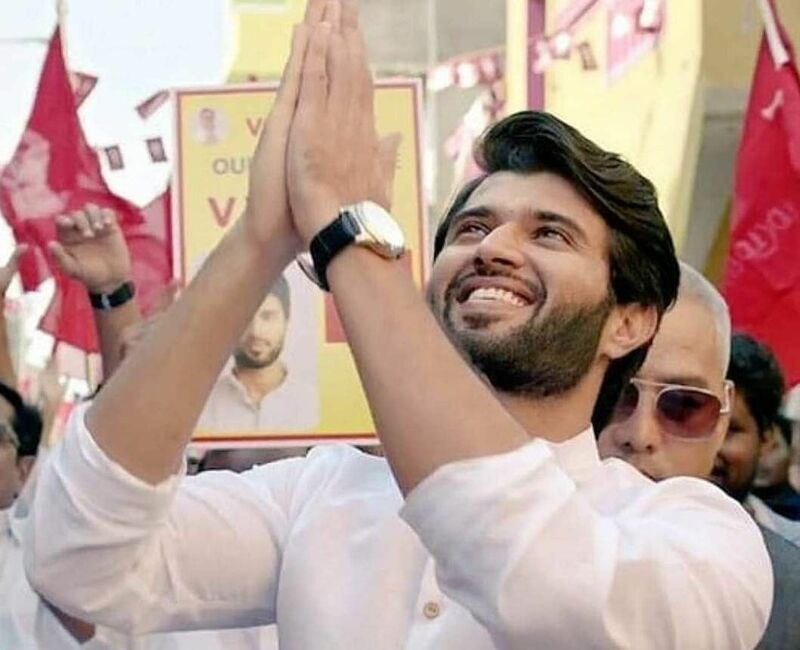 It seems like the material is dynamite; like he knows exactly how to marry the bada** image of Vijay Deverakonda into a serious film about politics. There are some greatly enjoyable scenes: Like when a drunk Varun takes oath as Chief Minister, and later asks for some buttermilk because he’s still hungover; like when he gets embarrassed of his hoardings on the street and gets an explanation of the power dynamics behind them. It’s tempting to think of a Mudhalvan, whose protagonist too gets forced into the Chief Minister seat. And just as with that film, it’s important that you don’t really question the practicality of it all. These are meant for the impractical idealist in you. In NOTA, for instance, you can’t ever wonder why the other senior hands in the party, despite so many opportunities, never really stake their claim, in a way, say, like Kokki Kumar does in Pudupettai. But this isn’t that sort of gritty film. This wants to be a crowd-pleaser, and cash in on all the pop-culture political moments we have been amused spectators of, during the last few years. I enjoyed the film’s beginning so much because it felt like a coming-of-age film, but with the delightful twist of the youngster being a chief minister. He’s a man-boy — one who spends the first few days of his CM tenure playing video games. He’s almost a prisoner at his own home, which is constantly populated by strangers. This gets established in a couple of scenes that show him sitting behind a grill. During that portion, NOTA promises to be a story of a prisoner learning that he’s in fact the warden. But alas. NOTA’s eagerness to cash in on all the headline moments of the last few years is its undoing. The MLAs getting up holed up in a resort; the floods and consequently, youngsters rising to the moment; the guru who leads a state; the one who’s built an ashram at the expense of the environment; the party that split into factions led by two loyalists… it’s all there in NOTA. In its hurry to take potshots at all these though, there’s not much time in which to focus on the evolution of this boy into a man. Also vying for time is the love story at the heart of this film, and a couple of flashbacks (in which, funnily enough, Sathyaraj and Nasser play younger versions of themselves), which don’t affect you as they should because… again, it’s just one of so many subplots. There’s something about a bombing, something about money being transferred, something about hacking and account numbers. After a while, you simply nod along. If anything, I’m grateful that they didn’t look to fabricate a love angle in this film. Small mercies. As there’s not much time in which to gracefully help you learn of the characters’ background, the film resorts to a lot of expository dialogue. 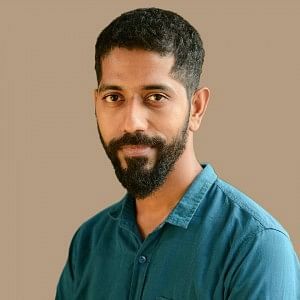 Varun (Vijay Deverakonda) is a principled man, and you learn of this when his friend (Karunakaran in a blink-and-miss role) announces for your benefit, “Avan dhaan avangappa paera use panna maataanu theriyume.” Varun’s from London and is barely interested in current affairs, and you learn of this when he says as much to a little girl who speaks way too much for her age. Varun’s come to town to celebrate his birthday at an orphanage — this good-hearted man — and you know this when he tells Sathyaraj as much. Varun’s lost his mother at a young age, and this too, is in a dialogue where both parties are already aware of this. A better film wouldn’t look to establish all these details in such ungainly fashion. Still, there’re quite a few interesting things, chief among them Vijay Deverakonda himself. He makes even potentially problematic ideas work — like the ‘Rowdy CM’ coinage. It’s also, of course, a hat tip to the actor’s fans being called ‘rowdies’. He’s a star, make no mistake. He takes a normal line, “Well done, you f****** politicians!”, and makes it almost memorable, with the intensity of his delivery. Few actors are capable of this, and of getting the crowd going. Seeing the response in our theatres, you’d think he’s always been part of Tamil cinema. Unfortunately though, NOTA doesn’t quite get the best out of his remarkable abilities. You know this when that signature line towards the end — where he thanks the Tamil people for giving him such a warm welcome — doesn’t quite whip up the sort of frenzy it should have.